Before we start this week, I must note an entry for Correction Corner. The Labour candidate for the Kempshott by-election in Basingstoke last week was not Grant Donohoe as I stated; he was Alex Lee, who after 14 years in the Army – serving tours of Kosovo, Iraq and Afghanistan – is now a project manager and ultra-marathon runner. My apologies to Lee, who finished in second place. Leicestershire county council; caused by the death of Conservative councillor David Slater. The former leader of Charnwood borough council, Slater was first elected to Leicestershire county council in 2009 for Loughborough South division; he lost that seat in 2013, and returned in 2017 for Syston Ridgeway division. This is the second by-election in a two-part series, as David Slater sat on both Charnwood borough council and Leicestershire county council. Last week his borough seat was filled in a by-election for the hunting and quarrying village of Quorn, north-west of Leicester; this time we move to the north-east of Leicester to the town of Syston. 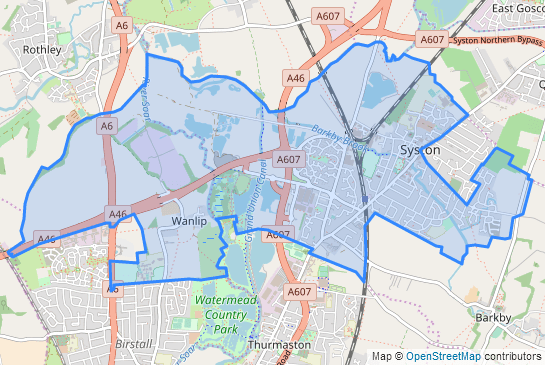 Located on the Roman Fosse Way, Syston is essentially a Leicester dormitory town, and its demographics are affected by the nearby city: Syston West district ward, which accounts for around half of this county division, was at the time of the 2011 census in the top 70 wards in England and Wales for Hinduism. Also within the division is the small village of Wanlip to the west, over the River Soar. Slater was the runaway winner here at the 2017 county election, the only previous result on these boundaries; he defeated the Labour candidate 58-21. On the same day the Conservatives held off a Lib Dem challenge in a by-election for the marginal borough ward covering Wanlip, thus preserving their full slate of district councillors for the division. Defending this county by-election for the Conservatives is Tom Barkley, a Charnwood councillor for Syston West ward and vice-chairman of Syston town council. Labour haven’t found a local candidate: their nominee is Claire Poole, chairman of Shepshed town council around twelve miles away to the north-west. Also standing are Matthew Wise for the Green Party, Andy McWilliam for UKIP and Nitesh Dave for the Liberal Democrats. North Kesteven council, Lincolnshire; caused by the resignations of Conservative councillor Andrea Clarke and independent councillor Shirley Pannell respectively. Clarke had served since 2011. Pannell was first elected in 1995 as a Labour councillor for North Hykeham South ward, transferring to Skellingthorpe in 1999; she also sat on the Standards Board for England from 2006 until its abolition in 2011, and had served as an independent member on the Local Government Association. As the legions did, we progress up the Fosse Way from the edge of Ratae Corieltauvorum (Leicester) to Lindum Colonia (Lincoln). North Hykeham Mill ward marks the point for Fosse Way travellers at which they enter the modern Lincoln built-up area; this is the outermost and most socially upmarket of North Hykeham’s four wards. The Mill of the name is a reference to Ladds Mill, one of two ancient windmills that once graced the town; the modern Mill Lane, the main thoroughfare in the ward, also reflects that history. To the north-west of North Hykeham lies Skellingthorpe, a Lincoln commuter village with a ridiculously expansive Wikipedia entry full of the sort of minor stories that characterise local history for small places. Possibly the most bizarre story relating to Skellingthorpe came in 2005, when a Harry Potter-themed day at the village school was cancelled following complaints from the local rector that it could lead children into “areas of evil”. Make of that what you will. Skellingthorpe ward has unchanged boundaries since 1999, and ever since that point its two councillors had been Christopher Goldson and Shirley Pannell – or Shirley Flint, as she was known until recently. Goldson and Pannell were elected unopposed as Labour councillors in 1999, and in every election this century they had stood as independents. Goldson in particular had a large personal vote, topping the poll at each election; in 2015 he had 50% of the vote to 29% for the Conservatives – whose candidate finished almost 200 votes behind Pannell – and 14% for UKIP. 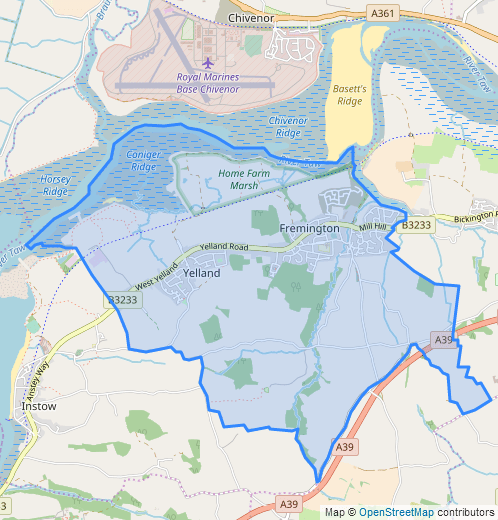 For a clue as to what might happen without Goldson and Pannell on the ballot we have to look up to county level: the village is part of the Eagle and Hykeham West division which was strongly Conservative last year. 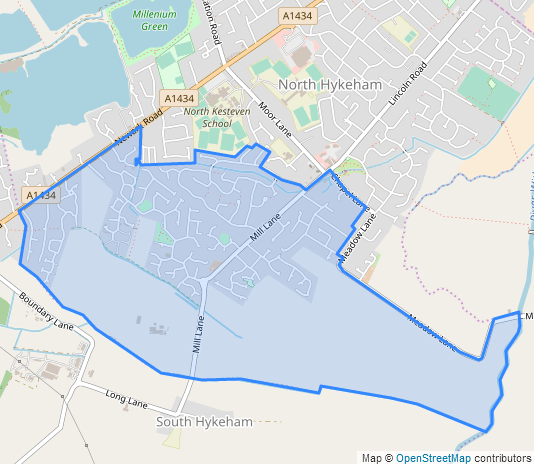 North Hykeham Mill took on its current boundaries in 2007, when it split its two seats between Lib Dem Jill Wilson and Conservative Betty Poole. 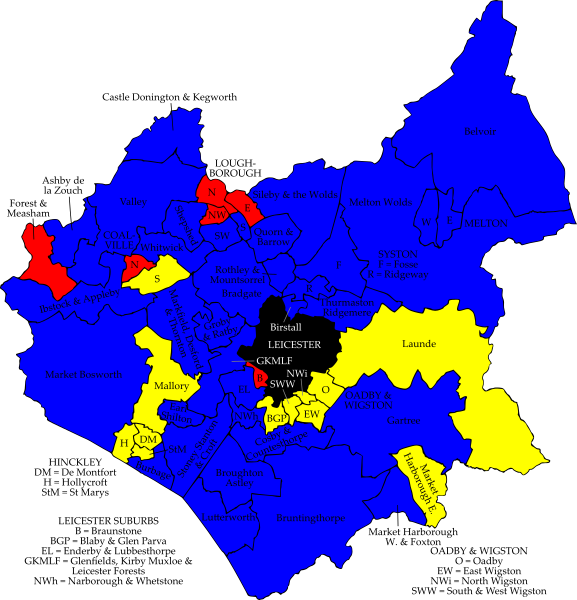 Wilson and Poole both stood down in 2011: the Conservative seat was taken over by Andrea Clarke, while the Lib Dems didn’t defend their seat which went to independent Helen Clark; she beat the Lincolnshire Independents candidate by five votes. Clark retired in 2015 and Jill Wilson returned to the council with the Lincolnshire Independents nomination; shares of the vote were 59% for Andrea Clarke and 41% for Wilson, who defeated Andrea’s running-mate Michael Clarke by just eight votes. Wilson resigned almost immediately on health grounds, and the Conservatives easily won the resulting by-election: in a larger field, Michael Clarke had 40% to 25% for a Hykeham Independents candidate and 23% for Labour. 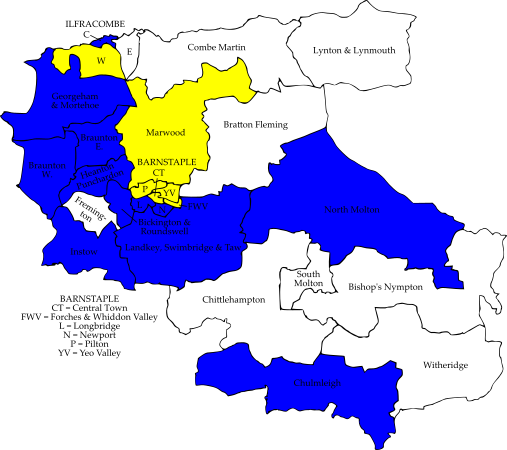 At county level this ward is divided between two divisions which easily returned Tory county councillors last year. One of those Tory county councillors, Stephen Roe of Hykeham Forum division, is the defending Tory candidate in North Hykeham Mill; he is also a North Hykeham town councillor for the ward. The Hykeham Independents have not returned, but the Lincolnshire Independents are back in the fray with their candidate Nikki Dillon, a North Hykeham town councillor who works as a counsellor in palliative care. A third North Hykeham town councillor on the ballot is the Labour candidate Mark Reynolds. Corinne Byron of the Lib Dems completes the candidate list. The Skellingthorpe by-election is a free-for-all. The Lincolnshire Independents have nominated local resident Richard Johnston. The Conservative candidate is Nicola Clarke, who gives an address in Nocton on the far side of Lincoln. UKIP have not returned, so completing the ballot paper are Tony Richardson of the Liberal Democrats and Labour’s Matthew Newman. North Devon council; caused by the death of independent councillor Tony Wood at the age of 78. Described as a true community champion, Wood had been a Fremington parish councillor for many years and had served on North Devon council since 2015. For our final poll of the week we transfer from the East Midlands to the West Country. Fremington is a large village on the south bank of the Taw estuary, a few miles to the west of Barnstaple. The village has a small quay on the river, and that made it sufficiently important to send members to Parliament for a time during the fourteenth century. Fremington’s main exports were pottery and power. The pottery came from Fremington lying on a large deposit of Ice Age boulder clay: an unusual geological feature for Devon, which is far south enough to have mostly escaped glaciation during the last Ice Age. The power came from a small coal-fired power station in the nearly village of Yelland, one of only a handful of power stations in the South West; the coal to supply it was ferried across the Bristol Channel from the South Wales coalfields until they closed down. The military were also important here: the Royal Marines airfield at Chivenor is just across the water, and until 2009 Fremington was home to an Army camp which was used during the Second World War as a US Army hospital, rehabilitating casualties from D-Day. All this is now gone; the Army camp has been built on and commuting to Barnstaple is now the main economic driver for the area. 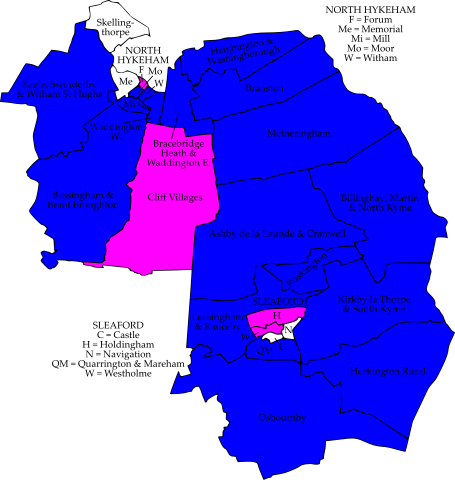 Fremington’s election results trend towards the parochial. The ward elected two independent councillors in 2003, returned two Conservatives in 2007, and reverted to Independent representation in 2011 and 2015. Top of the poll in the two most recent elections was Frank Biederman, who has a large personal vote and polled almost twice the total of Tony Wood, who was elected to the second seat 105 votes ahead of UKIP. 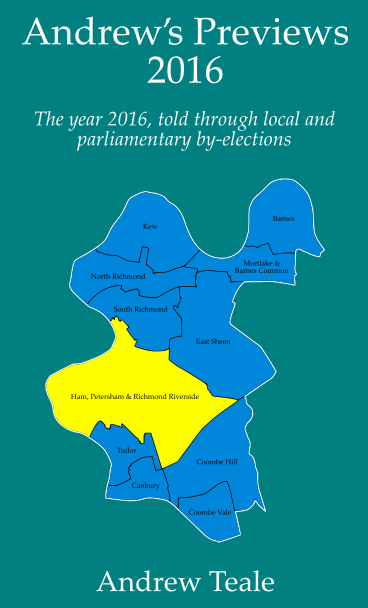 Wood had previously contested a by-election here in August 2011, finishing in third place. Shares of the vote were 50% for Biederman, 22% for UKIP and 19% for the Conservative slate. Biederman is also the county councillor for the local Fremington Rural division, having a similarly commanding lead in last year’s Devon county elections. Defending for the independents is Jayne Mackie, a Yelland resident who is nominated by Biederman. UKIP have not returned. The Conservatives have selected Jim Pilkington, landlord of the New Inn in Fremington. Also standing are Lou Goodger for the Green Party, Blake Ladley for Labour and Graham Lofthouse for the Lib Dems.